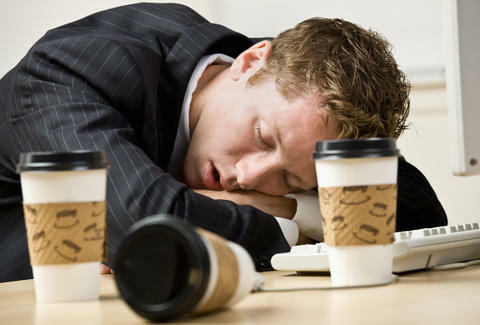 Which Source of Caffeine Keeps You Awake Longest? There's nothing worse than finishing a cup of coffee and realizing shortly after that you're no more awake, and yes, you need to head back to your office kitchen and down another foul k-cup. It's really about time we become the best caffeine-fueled people we can possibly be. Luckily, this chart from Data Driven Thoughts is here to help. 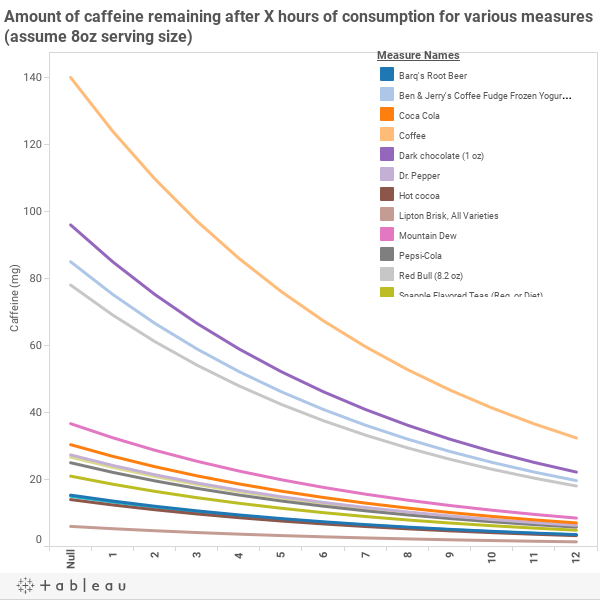 It shows just how long every caffeinated drink (and some food) stays in your system over the course of the day, assuming an 8oz serving size. The reason that last coffee didn't do it for you? Just one hour post-digestion, the amount of caffeine in an 8oz serving of coffee goes from 140mg to 123.9mg. But let's get to what's really important here: which drinks will keep a steady caffeine content pumping in your blood stream the longest? Unfortunately, it's the drinks that have a smaller amount of caffeine in them to begin with, so, root beer, hot chocolate, Lipton Brisk iced tea, Snapple iced tea, and sodas like Coke, Pepsi, and Dr. Pepper. Your best bet if you want something with a high caffeine content that won't leave you sleeping at your desk just one hour later? Dark chocolate, Ben & Jerry's coffee fudge frozen yogurt, or, unfortunately, Red Bull. So the next time someone judges you for scarfing ice cream and Red Bull at your desk, just tell them you're increasing your productivity. Take a look at the full chart below and revel in your new excuse to stock up on gross amounts of chocolate and frozen yogurt.